Today’s Flash Back Friday comes from Episode 30 originally published in December 2010. Jason interviews his early mentor Dr. Denis Waitley on “The Psychology of Winning.” At age 17, Jason discovered Waitley and it was a life altering event leading to his early and sustained success. Waitley is one of America’s most respected authors, keynote lecturers and productivity consultants on high performance human achievement. He has inspired, informed, challenged, and entertained audiences for over 25 years from the board rooms of multi-national corporations to the locker rooms of world-class athletes and in the meeting rooms of thousands of conventioneers throughout the world. Recently, he was voted business speaker of the year by the Sales and Marketing Executives’ Association and by Toastmasters’ International and inducted into the International Speakers’ Hall of Fame. 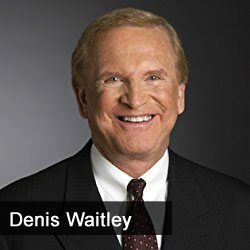 With over 10 million audio programs sold in 14 languages, Denis Waitley is one of the most listened-to voices on personal and career success. He is the author of 15 non-fiction books, including several international best sellers, “Seeds of Greatness,” “Being the Best,” “The Winner’s Edge,” “The Joy of Working,” and “Empires of the Mind.” His audio album, “The Psychology of Winning,” is the all-time best selling program on self-mastery.